6 september 2013 | I just started teaching at the University of Amsterdam: a series of lectures on China’s emergence as a global power. Some classes are taught by me and some by an interesting group of guest lecturers. But where to start? There is so much to say about Chinese economics, politics and society. 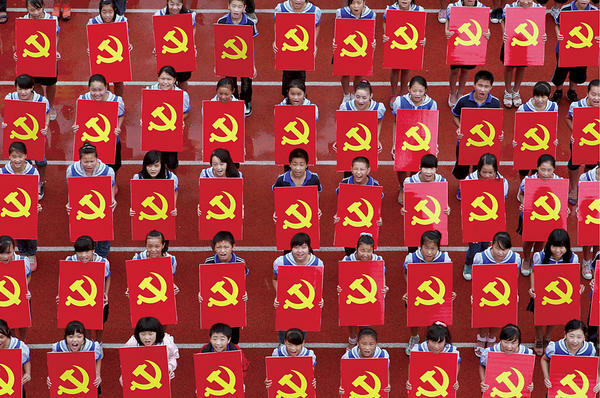 Since most students were born after 1989 – and therefore probably don’t know much about communism – I decided to first explain a bit about the role of the Chinese Communist Party. Preparing for the lecture, I came across some interesting articles that are worth sharing. The Council on Foreign Relations just published a good backgrounder on the Chinese Communist Party, including the leadership changes, the fall of Bo Xilai and Document No. 9 about the 7 dangers that threaten the Party’s control (including ‘constitutional democracy’). The article also includes a lot of useful links. Large scale corruption is the Communist Party’s biggest challenge, as people are becoming increasingly vocal and cynical about it. Xi Jinping is well aware that – in order to retain the legitimacy of one-party-leadership and the CCP itself – he will have to take serious steps against corruption. The Sydney Morning Herald has listed the 5 strangest targets of China’s anti-corruption campaign: mooncakes, military licence plates and more. 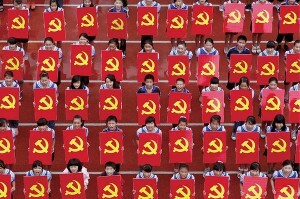 In class, I also wanted to show a different approach to the Chinese political system. Eric X Li’s TED talk, A tale of 2 political systems, fits that bill. Eric Li, a venture capitalist from Shanghai, explains the merits of the Chinese political system. His 3 words for describing it are: adaptability, meritocracy and legitimacy. It’s well worth watching his talk, even if you don’t agree with him. On the TED website, you can find a critique of his talk as well.